Have all the invitations been sent to the right people? Do we have the approval? Were all conditions taken into account in order to meet needs of the guests? Ninox software can also be used for event management and planning all of your events online and offline. Create a global list with members or people to be invited. 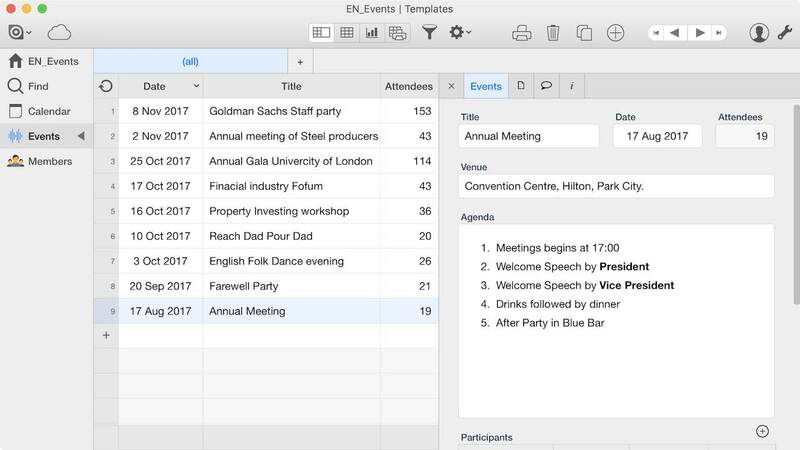 Track the invitation status of each member for a specific event. Automatically calculate the number of attendees. Our event planning app will be suitable for Event Managers, Receptionists and even party makers who need the right tool to stay organized. No matter which type of event you are organizing all your records will be neat and safe within the system. There are also possibilities for synchronization, so all of your Events will show up on the calendar.